NORTHRIDGE — “Executive Order 9066: The 75th Anniversary” is on view until May 31 at CSU Northridge’s Oviatt Library, 18111 Nordhoff St. in Northridge. Executive Order 9066, signed by President Franklin D. Roosevelt on Feb. 19, 1942, resulted in the forced removal of Japanese Americans living on the West Coast, most of whom were U.S. citizens. 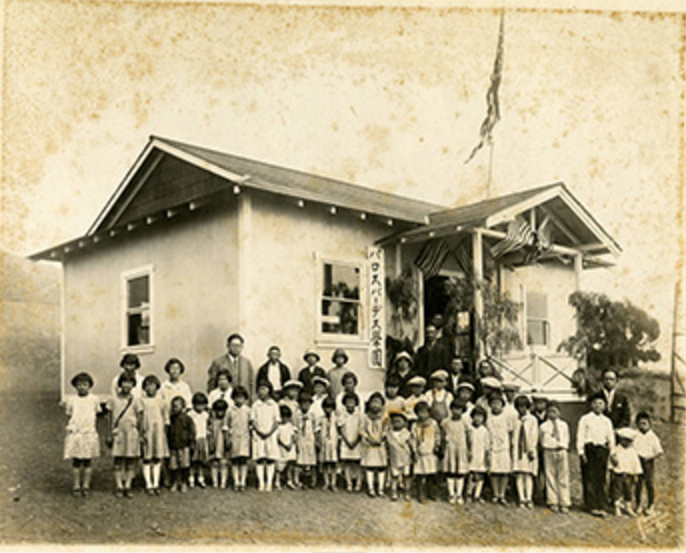 Americans of Japanese descent were ultimately incarcerated in ten camps around the country administered by the War Relocation Authority (WRA). On Dec. 18, 1944 the U.S. Supreme Court ruled that loyal American citizens could not continue to be detained without cause regardless of their ancestry (but did not rule on the constitutionality of the incarceration itself), and on Jan. 2, 1945 the order was rescinded. As inmates were released, they were given $25 and a train ticket home. The Tule Lake Segregation Center, the last camp in operation, shut down on March 20, 1946. 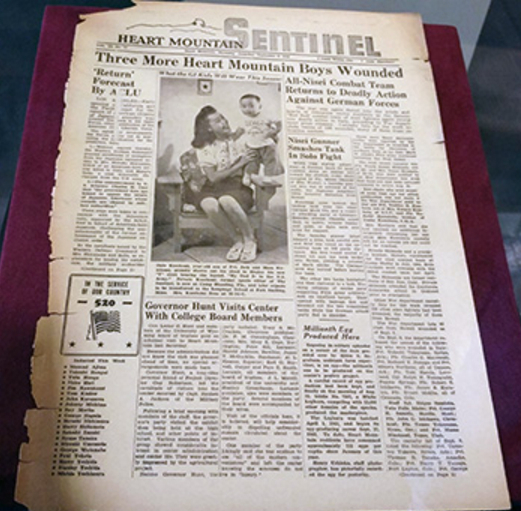 On display in the center of the Library Exhibit Gallery are newspapers produced by inmates in the Gila River and Poston camps in Arizona, the Jerome and Rohwer camps in Arkansas, the Manzanar and Tule Lake camps in California, the Granada (Amache) camp in Colorado, the Topaz camp in Utah, and the Heart Mountain camp in Wyoming. They provide first-hand information about the lives of the incarcerated via articles about mess halls and other communal spaces, school events, baseball leagues, dances, and more. Broader issues of interest in every camp are also prevalent, including the loyalty questionnaire used by the WRA to determine the “Americanness” of incarcerated adults, the subsequent segregation at Tule Lake of those deemed “disloyal” via the questionnaire, the status of Korematsu v. U.S., and information about Japanese Americans serving in the military overseas. On display along the walls in the gallery are posters from the CSU Japanese American Digitization Project. As a part of the project, 15 CSU campuses worked together to digitize letters, photographs, newsletters, and other materials that document the experiences of those imprisoned in camps during the war. Documents from Special Collections and Archives at the Oviatt Library are just some of thousands included in the CSUJAD web portal: http://csujad.com/.